Naturally the start of a New Year is an optimistic time of the year with a fresh new calendar on the wall of your home with lots of to-dos on the agenda. We’ve had a surge of home renovations New Year’s resolutions sweep through our offices since the start of 2019. From one of the biggest second storey modular we’ll ever do to rounded modular additions taking contemporary to the next level! 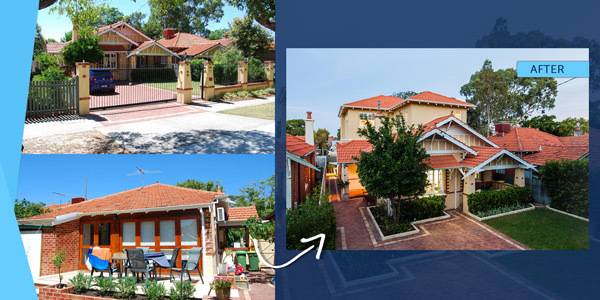 It’s safe to say that Perth is about to welcome some amazing newly renovated homes in 2019 and we can’t wait to see all those dreams come to life. On the other hand, for many eager home owners, the New Year may feel optimistic at first but realising their home renovation dreams is often short-lived due to poor budget planning. One of the biggest mistakes we see with newbie home renovators is a lack of understanding of the costs and elements involved with home renovations, additions or extensions. What’s popularised is the amazing sources of inspiration, particularly during the New Year period. The business end isn’t. So, if you’ve been making a few home renovation resolutions, or you’ve been imagining up ‘a dream home in the making’, I wanted to help set you up with a few costing and project planning tips (plus a bit of inspiration) that will put you on a forward path to make your home renovations dreams a reality. Set a budget and prioritise your wants! It’s a disappointing road to follow your heart and choosing things you like for your home to then have to cross so many things off your list because you started your home renovations planning without a budget and understanding of costs. At Nexus, we take all of our clients through a free design consultation before they become clients. The purpose of this consultation is to help people translate their ideas into costs and realisation. This helps people get a clear understanding what’s possible for their home and secondly, what elements of the home renovations they can or can’t afford. We deal with many clients who come to us with an expensive taste on a beer budget. Unless you have an unlimited budget (which very few do) then it’s important to identify your wants and prioritise so that you aren’t setting yourself up for disappointment or worse, over-capitalising and extending yourself financially. How to avoid this: If you’ve never had any experience with extensive home renovations, then I would highly recommend engaging a home renovations builder or specialist before you spend any money. Whether that be an architect, an interior designer or a trustworthy builder, these professionals can help you make a big-picture plan for your renovation and make you aware of the renovation details and room by room costs that you simply may not be aware of or overlook. Many renovators estimate costs too broadly or focus on big ticket items and underestimate on the things that they can’t see like plumbing and wiring. Most importantly, planning up front ensures you avoid too many unknowns which can save you from making expensive mistakes, creating unrealistic expectations and getting more from your reno dollar. It’s about having a structure so that you are in the known about the costs of every aspect of your renovation, room-by-room and item-by-item. One of the biggest, and costly home renovation mistakes that we came across was a layout configuration that we had to undo for a client who had previously renovated their kitchen, dining and living area, but they got the functionality of the space all wrong. Years after their first renovation, they discovered that the layout and position of the spaces limited them on expanding on the ground floor and the size of each space eventually became too small once they started expanding their family. The size and layout even created challenges around wanting to change and upgrade some of their big piece furniture items. A not-so-great design on their first renovation meant that they had to invest money back into fixing up mistakes that they discovered when they wanted to add onto their home with another extension. How to avoid this: Whilst it’s not always possible to plan for every future circumstance, it pays to consider what your ‘forever home’ needs as you grow into it. It’s hard to imagine beyond the ‘now’ but ask yourself questions like, how many people will be living and using each room on a day to day basis, now in and in years to come. Even if you don’t incorporate that into your design now, it pays to consider it so that you can factor in structural and functional elements for potential renovations that may be needed such as plumbing or wiring. In doing so, you can potentially save yourself from having to back track, redo and re-spend on fixing up mistakes. As I mentioned earlier on, the popularised items in a home renovation project are often that ones that are visually inspiring and attractive. A home renovation project should absolutely reflect a piece of you and carry through breathtaking design elements that may simply serve the eye rather than functionality. However, it pays to pick your ‘splurge’ features wisely. A common reno risk is over capitalisation. That is, spending more money on renovations than the new changes will add in value. Not to mention the unnecessary stress it creates on you financially. We love it when clients introduce impactful elements into their home renovations, but we always offer support in minimising any risks associated with over capitalising. For example, in areas where we know certain features appeal, we’ll recommend similar finishes that will appease both the market and the home owners wants. Certain changes add more value than others, so it’s about knowing where to focus that will create the biggest impact for you (emotionally) and for future buyers (if you decide to sell) rather than trying to do it all. Some of the best pay off splurges include, feature walls or tiles and high-quality benchtops in areas like the kitchen and bathroom. Kitchens and bathrooms can be the big hero’s in a home renovation so if you’re going to splurge on features we’d highly recommend investing in these spaces on appliances, fixtures and fittings, benchtops and splashbacks. We also see many home owners investing in their outdoor living. If you’re carrying out a home renovation in Perth, then outdoor entertaining is such an integral part of our lifestyle and home living – well worth the investment and a splurge! How to avoid over splurging: As a general rule, you should invest in the features of a property that will remain the longest and create the most impact. As mentioned, those features include appliances, cabinets, tiles, splashbacks, lights and benchtops. You can also save on many elements of your home renovation through thoughtful consideration of your features. For example, flooring can often be very expensive but there are many cost-effective options such as restoring existing hardwood floors or using in-expensive tiles that create a natural palette for your splurge features to pop. Located in Mosman Park, this old cottage was completely demolished and re-built with modern high-end features throughout to capitalise on the wants of the owners and the high-end location. It’s always important to save where you can on a home renovation, and always plan for extra costs to emerge (no matter how robust your plan is). Unexpected costs are often an un-avoidable part of a home renovation however, consulting with a home renovation builder can help you budget and plan for both expected and the unexpected costs, so that you are well prepared when you start your renovation journey. In many of the older homes we encounter, there can be hidden damages that await such as old or faulty wiring, rotting wood, water or termite damage. Unfortunately knowing the true extent and costs of these damages can only be uncovered once a reno is underway. Whilst these damages don’t always occur, it helps to understand that these extra costs may arise and to plan for these in your budget. How to avoid this: To ensure your home renovation project doesn’t grind to a sudden halt because of unexpected costs blowing out your budget, it helps to set aside at least 10% of your total budget to cover the unexpected. As an experienced home renovation builder, we always make sure to do our due diligence with our clients, especially in the contingency planning department. We care about doing the right thing by our clients and if it means encouraging them to put off their renovation plans to save more to get their dream home without the unexpected financial hassles and stress, then we’ll always recommend waiting or adjusting the budget should they be open to going without some of the high-end features. 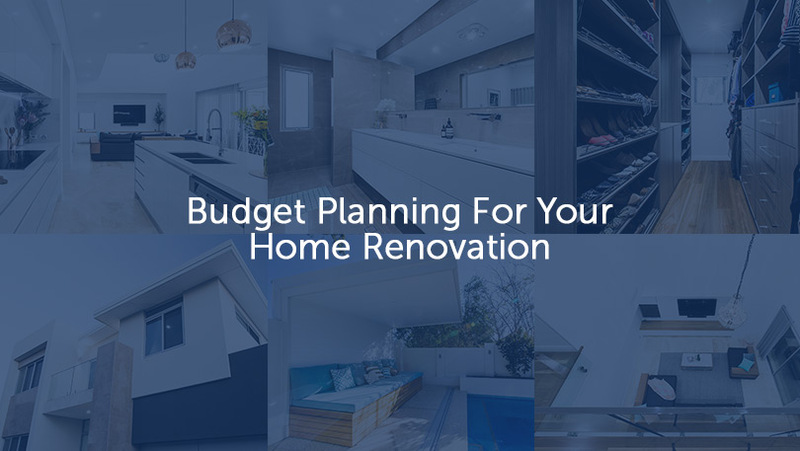 If you’re been thinking up a home renovation resolution for 2019, make sure you put in the time and research into your reno and seek the guidance of a specialist who can help you render your home renovation project on time and on budget. 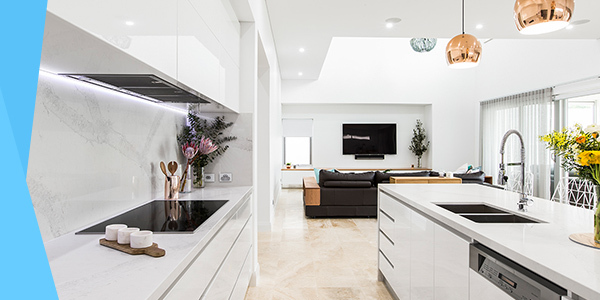 Nexus Homes Group have been helping families across Perth’s embrace and reinvigorate their homes for modern living through our modular builds process that helps us plan, design and construct your home renovations without the lengthy delays and budget blow outs. If you’d like to find out more about this process and to talk through your design ideas, budgets and expectations, you can book in a free design consultation right here.